Newly formed Echelon National Leadership Council unites chapter leaders to share best practices alongside National Advisory Board. How is it that one of the most cause-driven and socially motivated generations can be so elusive in the charitable sector? Perhaps the most widely studied generation ever, Millennials have become a growing fixation for nonprofits, and it’s no wonder. Millennial behaviors are guiding the way people donate, volunteer, gather and spread information about causes. As nonprofits work to understand what Millennials value, they’ve likewise come to explore ways they can deliver that value to them. One of the best ways, they’re finding: create an experience. For the past few years, Millennials have been credited with driving the “Experience Economy,” which, essentially, favors “doing” over “hoarding.” And these “experiences” aren’t limited to the consumer market. They include all types, especially giving. Yet, despite the inherent altruism of giving, the act of giving itself is often done in isolation—donating to hurricane relief online or buying a pair of TOMS, for instance. 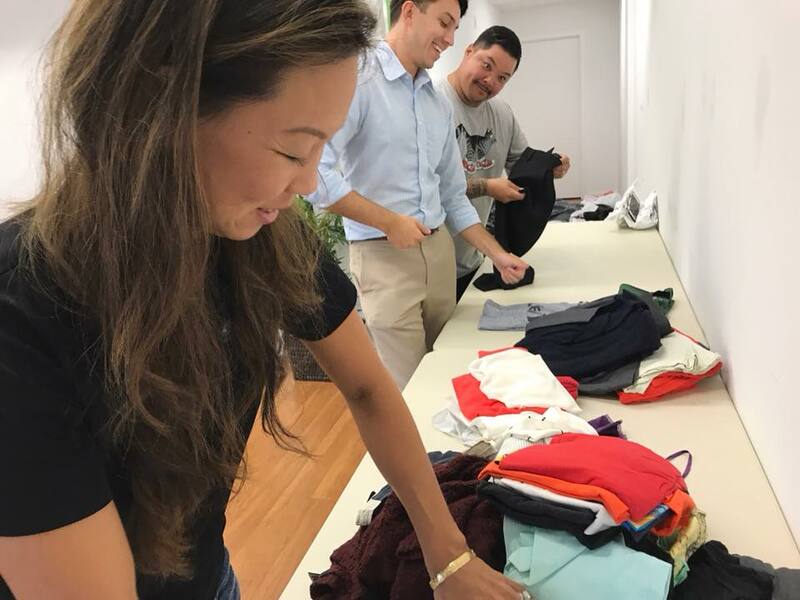 So nonprofits are now tasked with creating social giving experiences, wherein Millennials can build relationships and deepen bonds around a worthy cause. The Salvation Army began the process years ago when it developed Echelon, the National Young Adult Auxiliary, which has since spawned chapters across the country. Think young professionals—fundraising, volunteering, networking, advocating—for The Salvation Army in their communities. With the recent formation of the Echelon National Leadership Council, chapter leaders are being tapped to further expand the movement, alongside the National Advisory Board (NAB). The council, which held its inaugural meeting late in September in Detroit, will meet three times a year moving forward—each time the NAB meets. According to Joey Zumaya, Ventura (California) Chapter Founder, the initial meeting was as much about gaining ground as it was reinforcing what’s already been established. In the Western Territory alone, The Salvation Army has chapters established in San Diego, Portland, Phoenix, San Francisco and Honolulu, with nearly 20 more in varying stages of development. Some, like Ventura, are nearing their launch date, while others—take Sacramento—are just starting to dig in. Freddie Silveria is founder of the budding California State Capitol chapter. A motivational speaker for teens and youth through a group called Breaking Down the Walls, Silveria has also been involved with a half dozen or so Sacramento-area nonprofits for a while now. But when he got a call to spearhead the city’s Echelon group, he knew it was the beginning of something special. One of the keys to success for any Echelon chapter is member engagement (a hot topic at the September council meeting)—how you hook members and keep them hooked for years to come. Part of the way that’s achieved is by adapting the Echelon program to meet the needs of specific communities—much like The Salvation Army itself. After all, even if most Millennials won’t be making $5,000 donations anytime soon, the time to start building trust is now. 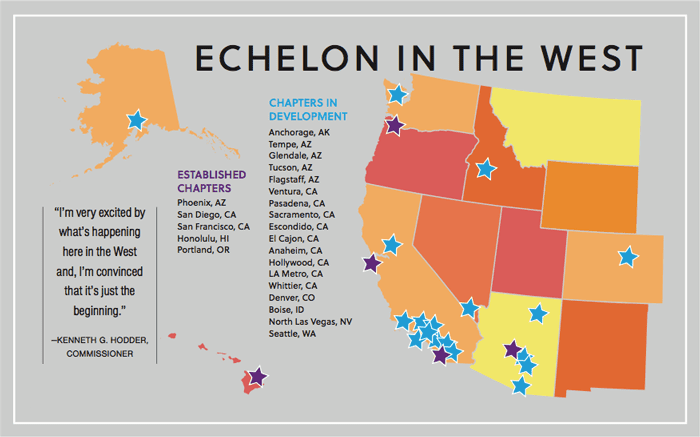 In the coming months, Echelon chapter leaders will be working on a new Echelon website. They’re also looking into developing Territorial Leadership Councils to supplement the national one. The next council meeting will be held in Sacramento in January 2018. Hodder said he’s encouraged by the growth rate of the movement, particularly in the West.